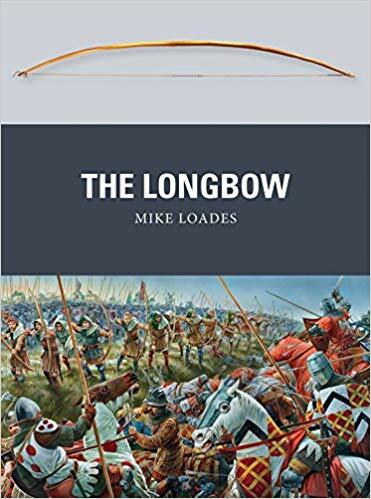 An iconic medieval missile weapon, the deadly longbow made possible the English victories at Crecy and Poitiers at the height of the Hundred Years’ War. The longbow was the weapon at the heart of the English military ascendancy in the century after 1340. Capable of subjecting the enemy to a hail of deadly projectiles, the longbow in the hands of massed archers made possible the extraordinary victories enjoyed by English forces over superior numbers at Crécy and Poitiers, and remained a key battlefield weapon throughout the Wars of the Roses and beyond. It also played a leading role in raiding, siege and naval warfare. Its influence and use spread to the armies of Burgundy, Scotland and other powers, and its reputation as a cost-effective and easily produced weapon led to calls for its widespread adoption among the nascent armies of the American Republic as late as the 1770s.